Home » Mozambique » Mozambique’s Forgotten Soldiers: Who Counts as a Veteran? Mozambique’s Forgotten Soldiers: Who Counts as a Veteran? With nearly 30 years of war in its recent history, determining who deserves veteran benefits is proving a contentious political issue. A farmer tending to his cows in Chokwe, Mozambique. Photograph by ILRI. Nearly 20 years after the end of Mozambique’s civil war, debate about ex-combatant pensions and benefits are still heated in the capital Maputo. The discussion has centred on defining who counts as a ‘veteran’, which in a country that faced two devastating wars over the course of 30 years is a far from easy task. The Statute of Veterans, passed in May 2011, is the latest attempt by the government to solve this dilemma and provide benefits to those who deserve them. What has developed is not a dichotomy of ex-combatant versus civilian, but instead a continuum of veteran-hood. Entitlement to benefits depends on which war a combatant participated in, for how long, and with which armed group. Under the statute, veterans of Mozambique’s FRELIMO-led liberation war against Portugal (1964-75) are to receive a new “participation bonus” on top of their already existing minimum wage pensions. Veterans of Mozambique’s 16-year civil war (1977-92), however, are only offered a “social re-insertion bonus”, as long as they served for three years or more. This bonus is offered to both veterans from FRELIMO – the country’s ruling socialist party since independence in 1975 – or RENAMO – the country’s political opposition party, but what was initially a militant rebel group funded by Rhodesia (now Zimbabwe) then apartheid South Africa. While providing unprecedented benefits to combatants of both wars, the statute has been opposed strongly by RENAMO representatives who claim it discriminates against their ex-combatants by providing higher benefits to FRELIMO fighters who fought in Mozambique’s liberation war. More controversially, RENAMO has opposed the statute provision that means only years of fighting after an ex-combatant’s 14th birthday count. This suggests that, contrary to RENAMO’s previous assertions, the group recruited fighters younger than 14. RENAMO’s cries of exclusion, however, have not been the only or even the loudest within the debate. After the statute was passed, much of the discourse has been pushed by Herminio dos Santos, president of the National Forum of Demobilised Soldiers (Fórum dos Desmobilizados de Guerra de Moçambique), who has campaigned for higher pensions and a broader definition of those entitled to veteran benefits. Dos Santos has led several protests in Maputo and has been detained by police just as often. One of his main points of contention with the benefit scheme is the exclusion of peasant militia fighters, known as Naparamas, who fought alongside the government army against RENAMO. While they were never officially accounted for, activists claim there are nearly 22,000 of these ex-combatants being ignored by the government. On March 12, Herminio dos Santos and his supporters were finally able to meet with Mateus Kida, Minister for Veteran Affairs, to discuss potential improvements to the veteran benefit system. In addition to the recognition of Naparamas as veterans, Dos Santos pushed for an overall increase in pensions to all ex-combatants to around 12,000 meticals a month ($440), nearly 6 times the national minimum wage set for agricultural workers. These and other requests were dismissed by Minister Kida, who claimed he would not have agreed to the meeting were he previously aware of them. 14 other demobilised associations also distanced themselves from the proposals and have backed away from Dos Santos’ attempts to engender a redefinition of veterans through demonstrations. The fervent debate around ex-combatant benefits over the past few years questions the success of Mozambique’s reintegration process twenty years ago, which had heavy international involvement and was widely regarded as exemplary. While it may seem farfetched to link the current debate on veteran benefits to reintegration programmes that started two decades ago, their impact has undoubtedly shaped today’s discourse. Like the recent statute, for example, the reintegration programmes excluded the thousands of militia fighters Herminio Dos Santos is now representing. Widely funded and composed of varying initiatives and methods of reintegration, Mozambique’s security reform was widely declared a success in that it prevented a large-scale return to violence after the 1992 peace agreement. However, in doing so, it arguably retained more of a ‘negative peace’ in which wide-scale violence was absent, as opposed to ‘positive peace’ with reconciliation and prosperity. Critics of the Mozambique’s reintegration argue that the reintegration programmes often made problematic assumptions regarding ex-combatants, including their socio-economic backgrounds and abilities. One UN programme, for example, assumed the average soldier came from a rural lifestyle and was aimed at giving ex-combatants tools to return to their supposedly peasant origins. The scheme was, at best, insufficient in supporting those that did want to pursue agriculture and, at worse, insulting to those whose other relevant skills were ignored. Certain other programmes assumed the average soldier was a blank slate and could be made into a semi-skilled worker quickly to find employment. Underestimating existing economic structures, and overestimating the market available for semi-skilled workers, these programmes, while successful in preventing return to violence, were arguably inefficient in providing long-term solutions to ex-combatants. Another key dimension to the debate on who deserves veteran benefits is Mozambique’s recent spurt of significant yet unequal economic growth. Largely fuelled by offshore petroleum as well as the discovery of large natural gas fields, Mozambique’s GDP grew by 7% in 2011. While the incoming revenue from these resources is welcome, the capital-intensive nature of these industries means that the job opportunities it creates are highly technical and likely to be filled in by foreign investing corporations. This inequality of growth seems to be driving some of the rhetoric for better veteran benefits. An article from Mozambique’s newspaper Verdade highlighted this aspect of the debate when it pointed to the symbolism of government officials leaving a large protest of demobilised soldiers last October in their luxury cars as if nothing happened. With FRELIMO facing increasing opposition from the rising MDM party (Movimento Democratico de Moçambique) in addition to long-term opponent RENAMO, veteran benefits are likely to continue to be a hot political issue. This is particularly the case considering FRELIMO’s struggles in capturing the support of young people and its fading image as the country’s liberator. It seems that even after twenty years of relative peace, Mozambique’s struggle to redefine itself politically and economically still hinges strongly on its history of war. 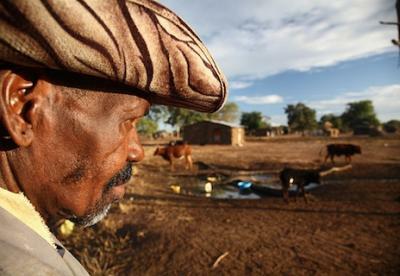 PreviousPrevious post:Why are Mali’s Rural Peasants Supporting the Coup? Next Next post:The Ingabire Trial: Rwanda’s Contempt of Court?